If you live in the central part of the US, you know that a tornado could happen any day and that these powerful cyclones destroy almost anything in their path. 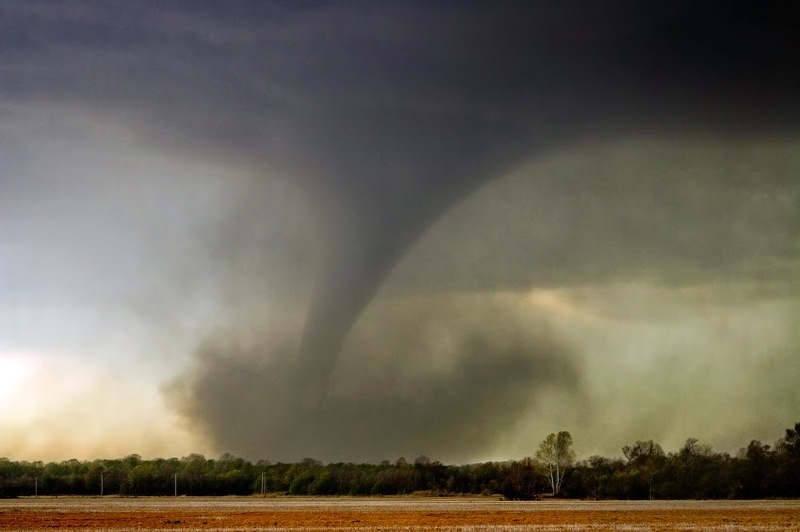 What may be less obvious to you is what you should do when a tornado does form in your area. In order to be fully prepared for this situation, we’ve outlined the proper safety guidelines for you and your family to follow when disaster does strike. Where to go in the home? When a tornado is approaching, the best form of protection in your home is any room underground, whether it’s a basement or storm shelter. Unfortunately, many homes located in tornado alley, Missouri, Kansas, Oklahoma, Texas, do not have the proper soil conditions to be able to support a basement. If your home is without an underground shelter, find a bathroom and sit in the bathtub. Ideally, you would want this room to be one of the inner rooms of the house. Bathrooms are best because their walls are taller than they are wide, which decreases the chances of the walls severely hurting you if they were to fall during the tornado. If you do have an underground shelter, take cover in this room as quickly as possible. Make sure the room is stocked with adequate emergency supplies. It’s very easy to purchase family survival kits online that include food, water, first aid kits and more. Is your home the safest place? Some will argue if you receive enough advanced warning, it’s beneficial to drive away from your home and the tornado path. For example, Terimy Miller of Moore, Oklahoma left her home with her three sons when she heard the tornado was approaching her home. The move ended up saving their lives since the tornado completely wiped out the family’s home. If you feel as though you have enough warning to drive to safety, experts recommend you drive at a 90 degree angle away from the predicted path of the tornado. What if it’s closing in on your car? If you’re on the road and a tornado is headed directly for you, the best thing to do is to exit the car and find a ditch on the side of the road to take cover in. This will protect you from flying debris. If there’s not a ditch around you, try and find a heavy object like a tractor or large tree and hide behind it in order to protect you from debris. What about your kids in school? 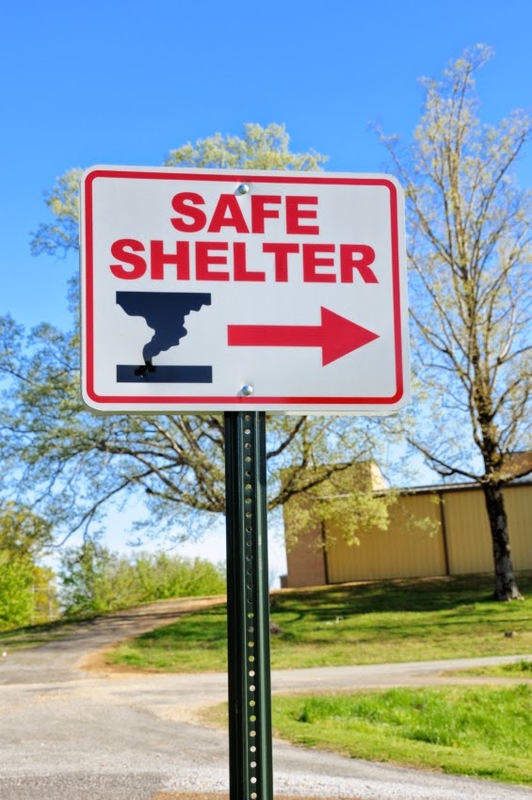 Newer schools located in tornado alley are being constructed with underground tornado shelters. These rooms are equipped with heavy-duty concrete walls and offer plenty of protection. If the school does not have an underground shelter, students should hide under their desk or should line up in a hallway without windows with their heads down and hands covering their necks. We suggest parents ask their children’s school about the tornado procedures in place and go over them with their kids to make sure they’re prepared. If you’re concerned about tornadoes, walk through your house and determine the best shelter place. Go over the emergency plan with your family at least once a year to ensure everyone is on the same page. Also, consider purchasing tornado survival kits from the leaders in emergency supplies, SOS Survival Products. Taking the time to know these proper tornado safety tips will go a long way in saving your life and your family’s lives.